David Beckham is an English soccer player whose popularity extends beyond the field and into international celebrity. He has played for some of the best clubs in the world, including Manchester United, Real Madrid, and AC Milan, and is known worldwide for his free kick expertise and spectacular long-range shots. His singular dedication to becoming a renowned soccer player has been an inspiration to teammates and fans alike. 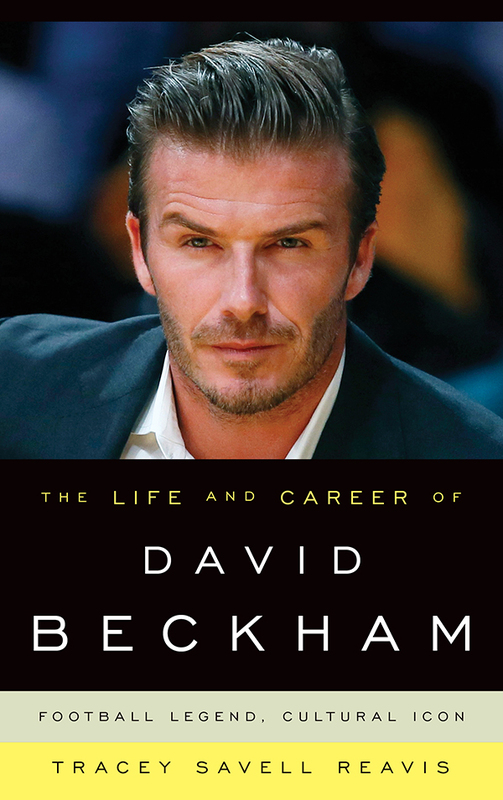 In The Life and Career of David Beckham: Football Legend, Cultural Icon, Tracey Savell Reavis delivers an up-to-date and refreshing look at one of soccer’s most-recognized athletes. Drawing on extensive research and in-depth interviews, Reavis brings an outside perspective to Beckham’s life in order to reveal his profound impact on the sport in the United States and worldwide. From his birth in Leytonstone, London and his celebrated playing career to his role in bringing the 2012 Olympic Games to London and his retirement from soccer in 2013, Reavis examines the influences that shaped Beckham into the legend he is today. "I have had the same questions any average American sports fan has had: what exactly makes David Beckham so idolized inside and outside the soccer world, even in a nation still only casually acquainted with the sport? That alone drew me to this book, and Tracey Savell Reavis gave me the answer, colorfully and in great detail. She takes us back to the beginning, and beyond, then brings us to his origins, onto his path to greatness, his fall and redemption, and eventually the crossover into the kind of international fame that, in most cases, is impossible to pinpoint or describe. In doing all of this, the universality of Beckham’s rise comes through, so that anyone who cares about sports gets it, even if he or she has never set foot in England, played “football” or watched an entire game of his. By the time you finish reading this scrupulously-researched, passionately and smartly-told tale, you will have asked and answered another vital question, even more specific than the aforementioned one … how did an English soccer player get into an underwear commercial during the Super Bowl? The Autobiography of Tommie Smith.